If the first thing you do when you open up your browser is login to Facebook, then you are just like me and a million others, we love to chat, tweet, poke and comment but are we aware of the risks? Everyone you know and don’t kno) is using social media and according to Comscore, India is the eighth largest social networking market in the world. How many of you check a user’s profile before accepting a friend request or how many of you think thrice before clicking or allow for an app. Securing your account is an integral part in the world of social networking. 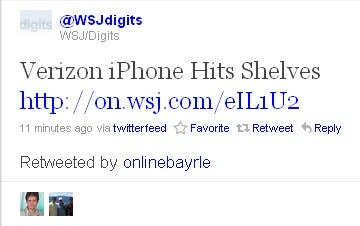 Geo-location: Never update your present location on website, just never. It’s like putting posters advertising your current location to rob you. Passwords: This is the first rule to stay safe. Strong passwords with a combination of letters and symbols should always be used on any website be it social networks or business. Of course, that’s easier said than done and remembering each and every password becomes quite a pain to prevent which you can use a software such as KeePass to take care of all your password management problems as it keeps all your passwords safe and you only need to remember to a master password to protect them. Fake Facebook Apps: Beware when you see messages like “WOW, now you can see who visited your profile. Click Here to activate”. 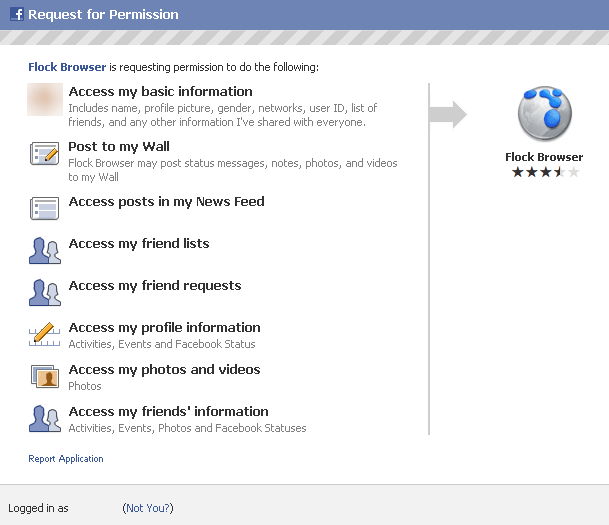 You should always check the permissions that app is taking. If a gaming app is asking for access to your facebook chat then something is certainly fishy. Pattern Recognition: If you go to Domino’s everyday and update the same on Foursquare then you have made the work of a thief (a technically sound one) much easier. All he has to do is to follow you and all his work is done by the victim himself and while you are munching away that pizza the thief will be doing his work in your house! Adding Random people: Don’t ever add people you don’t know at least not without checking. Everyone knows Facebook’s privacy settings are on the loose and your so-called friend and could have access to your phone number, email and house address, which is something you’d think twice about giving someone in real life. Popular News Stories: Spammers take every opportunity they have and their biggest method is to cash on fake links claiming to be leaked videos like of Osama Bin Laden’s killing or the Blast in Mumbai. Shortened URLs: These make hackers’ work just more easier. They completely disguise the original link and when coupled with unbelievable sounding stories are just as harmful. Always use a link checkers such as the popular AVG’s, WOT (Web of Trust) or you can just use the website LongUrl. Phishing: Watch out for suspicious looking links or page invites even from your trusted friends and always double-check the URL before typing your username. A padlock or a green symbol will be visible on top of secure login forms. Many Fake surveys are also sent by people asking you to fill out your personal details. Of course, it’s just another trick by hackers. Public Computers: Never tick on the remember password option in a cyber café or a shared computer. Remember that clicking the cross button does not automatically log you out but instead, the next person opening the browser will be greeted with your profile. Well, we hope that you enjoyed the tips we’ve shared and your account will now be just a little bit safer. Hi Vedant… nice article bro. 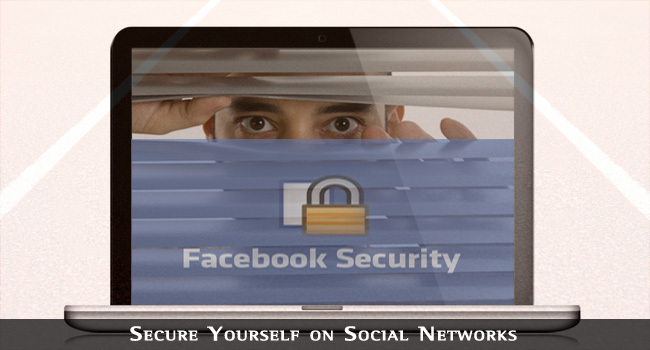 We are so use to of social networking site (specially FB) that we forgot small security tips. Thanks for reminding us about our security. Nice article ! Covered most of the aspects. I dont think location is such a big deal to really worry about provided you dont disclose your residential address fully. I would suggest not to provide your date of birth, residential address in public profile. Those could be the secret password questions in many places right? Also do not share your main account that is used for password reset or linked with online payment account like Apple iTunes or Amazon. They could be hacked and all your content may be wiped out fully. By Location I mean the exact location. Like on foursquare, you share that you checked in on McDonalds in so and so place. So the bad guys may gain an idea that you are not in your home and they may get an opportunity to rob your house. Security is most important part of social networking. This post is really helpful for Securing your FB account, Thanks for sharing! I normally refused to allow app to access my details but I don’t even know that the geo-location feature could be useful for thieves to have their way. Thanks for letting us know this from the onset. I’m really happy that I know this information now. Thanks for your time. Hi vedant thanks for sharing this nice post. I think everyone should use only recognized applications only. WOW!!! I didn’t know about this securing tip..
Really a fake app can harm our fb account..? Absolutely I will follow this, thanks for info.